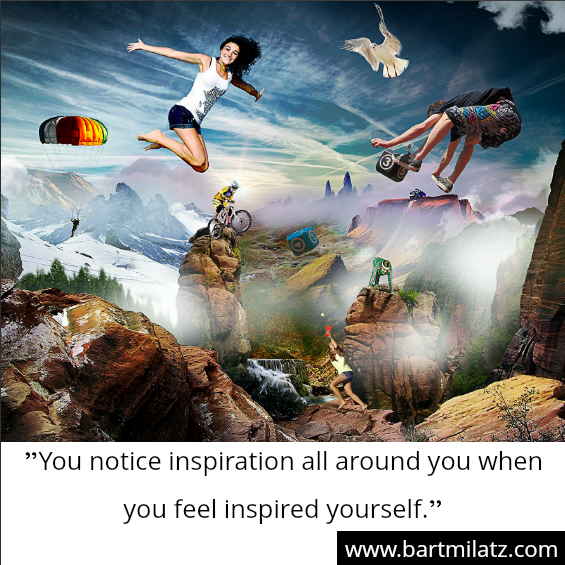 Is inspiration the new money? I finished teaching on Friday afternoon and took the bus to go to my next group of students. This is not an air-conditioned bus (I live in Thailand), but a bus with open windows and a couple of fans hanging on the ceilings. Whenever you get on the bus someone will sell you a ticket. It is a tough job to do for this person. It is hot, people are sweaty and tired before and after work, you’re always stuck in traffic, etc. However, there is this conductor (her name is Lek) on the bus to sell bus tickets. I have seen her many times before, she is always energetic and enthusiastic even tough the conditions that she works in day in day out are not that great! A couple of stops later two (poor-looking) students got on the bus. She said they didn’t have to pay for the bus. Another few stops later we passed the Thai school for the blind. Three people got off the bus. Lek said in Thai language – 4 people, get off the bus, you have arrived! But there were only 3 (blind) people getting off. Lek went through the bus to get the fourth person, so they could hold hands, get off the bus and walk safely to their school. It is something so simple, but I got a tear of inspiration. I got inspired by seeing someone being inspired doing their job, even a job as simple as a conductor on an old rusty bus driving through traffic jams in Bangkok, Thailand. When the bus stopped I asked her name (Thats why I know her name is Lek). I told her that she is a good person and very caring. I gave her THB100 (about $3). I told her to do something nice with it for herself. She couldn’t accept the money but she thanked me for the compliment. She said she was just doing her job. got offensive and said she cannot accept it and put it back in my hand. No matter what your job or duty is, do it with inspiration. Even if you are a cleaner, a bus driver, a conductor checking tickets, a teacher…. Your job matters, even if you don’t realize this consciously. And throughout the day I saw that many other people were inspired by their job as well. The chef in the restaurant, the bus driver who said hi and the security guard who said thank you when he opened my bags to check them. Now I would love to hear from you! Have you ever been inspired by someone or something that was so simple, yet profound? Please leave your comments on this page. I would love to read your story! If you liked this article, please share it with others using the social media buttons below.